Monte Wilson trains individuals, teams, and organizations to develop personal and team effectiveness. His work has taken him around the globe and for 40 years he has trained thousands of international leaders in the fields of communication and persuasion, education, and non-profit organizations. As a Corporate Trainer and Life Coach, he has specialized in working across cultural lines throughout the world to establish and sustain successful businesses, both large and small. Delta Airlines, ESPN, ABC, United Technologies and Best Buy. As an authority on leadership development, Monte has worked with men and women across five continents, teaching them how to reinvent themselves, their communities and their organizations. 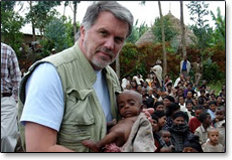 One of Monte's greatest passions is Stopping Traffic, International: a charity dedicated to rebuilding the lives of children rescued from sexual slavery and slave labor. One dollar from every purchase of Legendary Leadership will be donated to this charity.